Today I’m pleased to welcome young adult author, Kelly Hambly, back to my site today, to share a little of her writing journey. Unlike many authors, my journey to traditional publication was not quite as long but nevertheless, it doesn’t mean to say it was by any means easier. When I took up writing fiction just over five years ago, after being inspired by a song I had heard, I had not written anything as such for years. In essence, I had to learn from scratch. By this, I mean, even the basics of storytelling and grammar, not to mention structure. For a while I wondered if I had thrown myself in at the deep end, but the story I had formulated in my head kept gnawing away at me. So for the next 18 months I worked everyday teaching myself as I went along how to put this story down into words. I didn’t take any classes, I couldn’t. I suffered with anxiety so going out to meet people was a definite no. So I read, and read some more. I wrote, I wrote some more. And this passion continued, and by the end of the first 18 months I had produced my first novel. To say I was chuffed is an understatement. My English at school wasn’t pretty good but I went on to do an English degree course, but that was 8 years previously, and did pretty much no writing after it. Well, I know a lot of authors can relate to the wonderful feeling of holding your first piece of work in your hands, but when I put it out there for feedback – the result wasn’t what I hoped for. To put it bluntly like this woman did, she told me to give up. I was crushed, but after moping for a day or two I took her advice. I made sure I improved, and set out to prove people like that wrong. So I wrote another four novels and many short stories. And like I always say to those who ask me for advice, it only takes one story and one person to see its potential and you’re on your way, so you should never, ever give up. 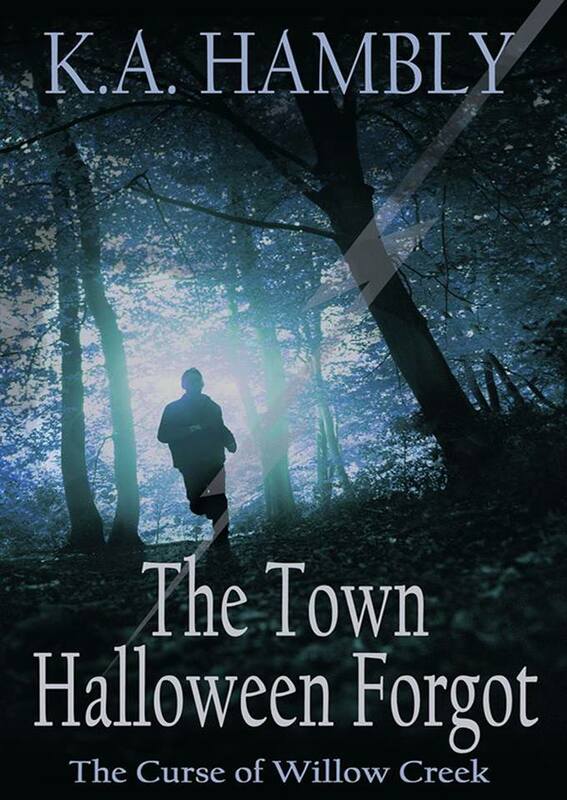 I wrote The Town Halloween Forgot in June 2013. It was intended to be released as a short story for that Halloween, but something about it kept me wanting to write more, and the following year I toyed with the idea of self-publishing. It wasn’t a route wanted to go down again, and by chance I discovered Accent Press, and thought I had nothing to lose by trying. Three weeks later I got an email from them offering to publish it for me. So, to any aspiring writer out there, right now, reading this, keep writing, and keep the dreams alive. Listen to criticism when it is given, but learn how to respond to it. It may not be what you want to hear, but it could help you reach where you want to go. Vampires and Gothic Horror have always been an interest of hers so it is no surprise that she began writing her own vampire series in 2011. She states music and movies play a huge part in her inspiration. 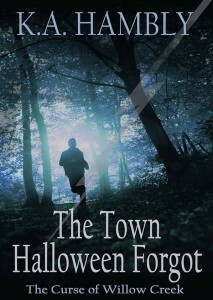 She is currently working on her new YA series, The Town Halloween Forgot. Many thanks for coming to visit today Kelly. Enjoyed your piece a lot. It must be hard to begin from scratch when English doesn’t come naturally as a writer. I guess the ideal world was when stories were oral and passed from family to family, generation to generation. things got lost and changed, at least with a book whatever you have written remains more or less the same if you don’t count the editor! In the world of music you are only as good as your last Hit record….think the book world seems as it might be the same. Still, it only takes one success to set you up for life in both areas. Fingers crossed for you. Happy Easter.